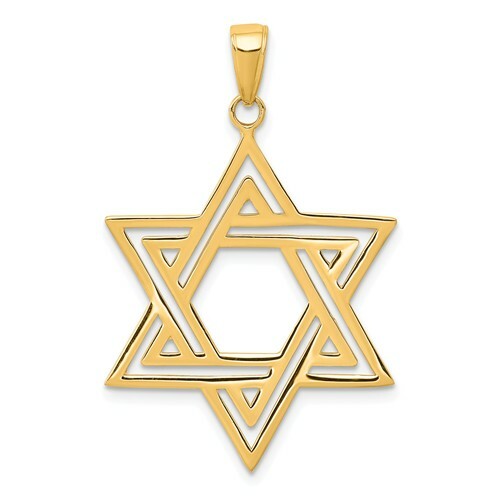 Diamond-cut star of David pendant is made of solid 14kt yellow gold. Satin finish. This item is slightly larger than a quarter. Weight: 2.16 grams. 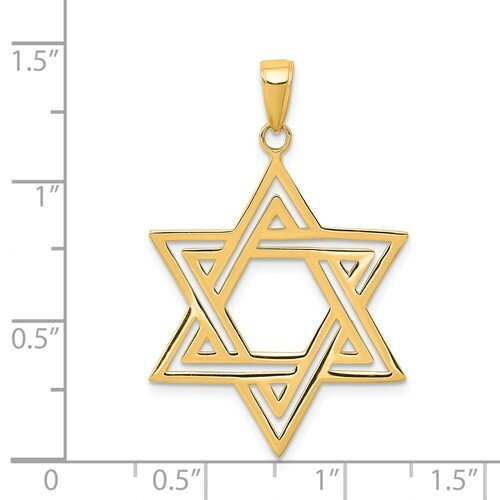 Item measures 1 inch wide by 1 1/8 inches tall without loop and bail. This item is the size of a quarter.